Following on from Dave's excellent Meet the Modder series, I recently got to spend time with professional modder, the man with the glasses, Mike Petereyns. Mike's builds are regular attendees at technology shows around the world, being prominent displays at the likes of Computex, CES, Paris Games Week, and Gamescom. 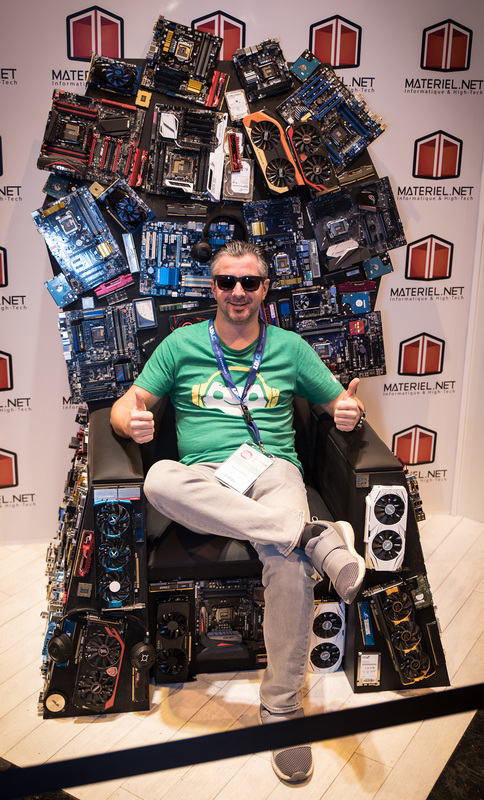 Some of his work you may also recognise from Cooler Master's annual Case Modding World series, where he placed 2nd in the Tower Mod Category in 2013 with 'X1-Prototype' and 1st in the Scratchbuild Category in 2015 with 'Tri-MAX'. 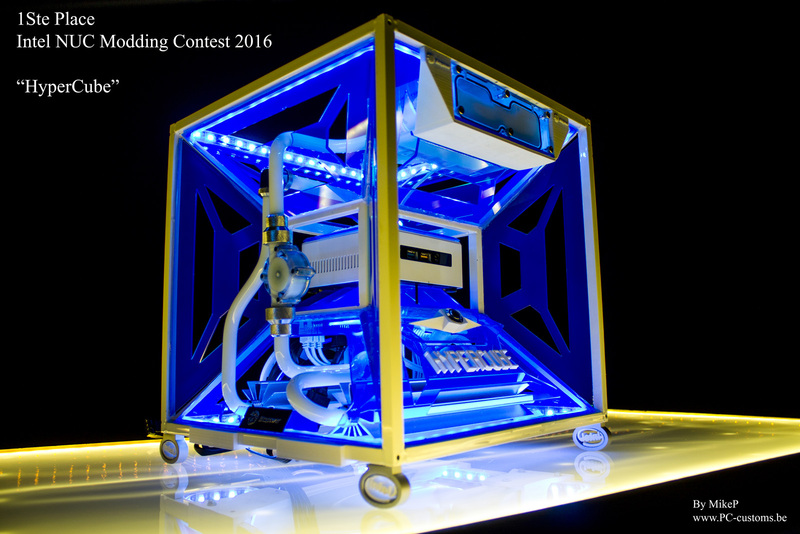 Mike also went on to place 1st in the 2016 Intel NUC Modding Invitational with his build 'HyperCube'. Over the course of the LDLC Modding Trophy in Paris, we got to catch up over perhaps too many drinks, so let's get to it! Who are you, and where do you hail from? Hi, my name is Mike Petereyns from PC-customs.be (#mp_customized) or just MP-customized here on the forum. I live in Gent in the Flanders/Belgium, I am 37 years old and a married father with three lovely children (sometimes). Some of you already know me from previous projects like the 'Tri-MAX', 'HyperCube (NUC)', 'Shui-Shen P5', or the 'TTower IOI' project’s I made recently, but these were not the only ones I made. I have been modding as long I can remember, from my first PC back in 1996 until now… it’s my passion. So how long have you been modding then? From my first steps when I was three years old and whole my life through… I guess it’s in my DNA! Wow, you started early! What would you say gave rise to your modding career? Back in the early days, PC cases were very basic and boring with no good airflow, no cable management, and certainly not water-cooling friendly. If we wanted to stand out at LAN parties/gaming events, we had to be very handy and creative to best all the others' PCs. These days, case modding is much easier and more forgiving for beginners, and that is great! I couldn't agree more; the modding scene has changed so much over the last few years even as manufacturers implement more and more classic 'starter mods' into their products. That said, your builds nowadays are quite in-depth and require a lot of work; which tools do you use that you think you couldn't live without? Well for case modding I use my Dremel 4000 series, Dremel 3D40 3D printer, heat gun, and pro paint gun. 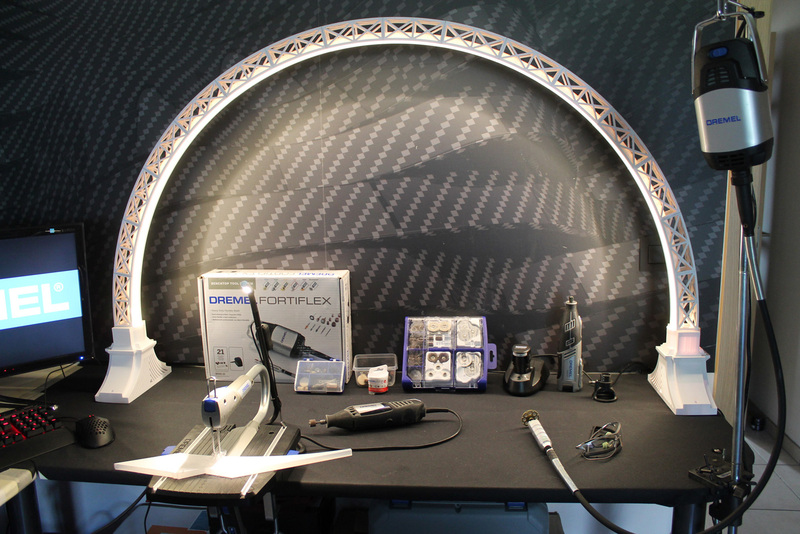 For scratch builds I use CNC milling, 3D printer, laser cutter, CNC bending machine, TIG welding, all the Dremel tools like Moto-saw, Dremel Forti-flex, and Dremel 4000, soldering iron, multi tool to measure volts, paint booth, all kinds of CAD software, render, and sketch programs. Oh, and the most important: my mind and hands! We jumped on the train and visited Joe 'JR23' Robey. Joe does some amazing work, and his talents designing cases and coming up with new ideas are rivalled by only a few.